An interesting note in the opinion is that the Court considered a Proof of Claim that was obviously time barred. “Whether Midland’s assertion of an obviously timebarred claim is “unfair” or “unconscionable” (within the terms of the Fair Debt Collection Practices Act) presents a closer question.” Page *5 above. The Claim in the above case made no misrepresentations regarding the age of the account or whether such account was past an applicable statute of limitations. In such a case, the Supreme Court has said that debt collectors are free to file such a claim and suffer no liability through the FDCPA for attempting to collect on a stale claim. But what if the claim is presented in such a way as to attempt to appear timely? What if a creditor or debt collector intentionally “re-ages” an account in an attempt to collect a stale debt so that the claim wasn’t “obviously time barred” as stated by the Supreme Court? Would that type of collection activity subject the creditor or debt collector to liability through the Bankruptcy Code or the FDCPA? Twice in the past 2 years our office has seen large institutional creditors (not debt collectors, surprisingly) file claims that contained account statements dated for the month of the petition when the account is well past the Florida five year statute of limitations. In one case the creditor filed multiple claims with the same deceptive account statements. We filed suit against both creditors in adversary proceedings in an attempt to bring such behavior to the attention of the Bankruptcy Judge and to prevent future repeat violations. Such behavior is an obvious violation of Bankruptcy Rule 3001 which requires that claim filers provide in the Proof of claim the date of the last transaction, date of last payment and date charged off for all unsecured open end or revolving accounts. The reason for such a requirement is obvious: Put everyone on notice as to whether the claim is collectible. The Rule also provides the Bankruptcy Judge with the ability to disallow the presentation of evidence of the missing items, award attorney’s fees and costs, as well as other “appropriate relief”. Our office believes that any “appropriate relief” that is awarded should be sufficient to deter repeated violations of claim standards and to prevent deceptive filings in reorganization cases. As we move well past the limitations period for most debts incurred and charged off during the financial crisis of the late 2000’s, it becomes critical to any successful reorganization effort to make sure that only legitimate claims are provided with financial benefit in a reorganization case. Stale claims, deceptive claims and the other variations of uncollectible debt should be carefully checked in each case and taken out of any reorganization plan to allow for the best chance of success. As we approach the middle of 2016, it is interesting to look back and see the effects of the bulge of filings from 2009-2011. During that time, the filings in Jacksonville routinely approached 12,000 cases per year. With the end of the boom now approaching five (5) years, it is particularly interesting to see the effects of the surge in Chapter 11 filings. After the 2005 Bankruptcy Code Amendments were passed, it became quite acceptable to file an individual Chapter 11 case in an effort to deal with substantial mortgage debt related to investment properties. That turned out to be exactly what thousands of real estate investors did when the real estate market crashed. The Chapter 11 filing allowed the investors to match cash flow from the rental properties to a restructured mortgage based upon a valuation of the investment properties. Unlike homestead properties, the protection against modification did not extend to investment properties. Chapter 11 plans would strip down an investment property to the current value, change interest rates and extend the term of the amortization period in an effort to make the properties cash flow for the investors. These restructured rental units formed the basis for repayment of secured debt and unsecured debt in most individual chapter 11 plans. The typical individual Chapter 11 plan was a 5 year plan. That means that we are approaching the end of the cycle for completion of the Chapter 11 Plan payment period. So what is happening with the mortgages which were restructured in the Chapter 11 Plans? If the Debtor successfully completed a Chapter 11 case and received a discharge, the answer is familiar. In almost every case, our office is seeing mortgage servicers fail to comply with the terms of the discharged plan. Some failures are small, with servicers just misapplying payments over the term of the plan. Others are more substantial. Failures include the wrong principal balance, interest rate, amortization term or other aspects of the Chapter 11 modification of the mortgage. This is a repetition of the Chapter 13 issues that our office has been fighting for years. As in Chapter 13, it is very difficult to complete a Chapter 11 plan and comply with the payment structure of the modified mortgage. However, the benefit for such compliance is supposed to outweigh the effort upon completion of the Plan. The hard working debtor is supposed to have a new mortgage with a modified principal balance, interest rate and term as ordered by the Court. Unfortunately, the failure of the mortgage servicers to adjust the mortgage to comply with the Plan has the potential to undo all of the hard work of the client. Our office spends considerable time after the completion of every Chapter 11 case to ensure that all mortgages are current and in compliance with the Plan. We do this at no cost to our clients to ensure that they do not have to call us in a panic 6 months after discharge with the fear that a home is going to be foreclosed due to the errors of the mortgage company. If you are experiencing post discharge issues with your mortgage company, give us a call. We will review your situation and give you an honest opinion of whether the mortgage company is in error. I have previously written about the potential for FDCPA claims after filing for bankruptcy and having a debt collector contact you regarding a debt that was discharged in the bankruptcy filing. Another method of attempting to collect debts which are not collectible by collectors is to actually chase people after they have filed for Chapter 13. There is a huge business of selling debt to collectors by the original creditor after a person has filed for Chapter 13 relief. The collectors buy the debt for pennies on the dollar, file a claim for the full amount and hope to make more from the Chapter 13 payoff than they paid for the account. If they weren’t making money this way, the collectors would not continue to buy the accounts and file claims. One reason the bankruptcy accounts can be so cheap is that they can be very old. Recently, I have seen claims from the 1990s filed in Chapter 13 cases. Claims continue to be filed by collectors long past the date that the law allows them to be collected. In Florida, the statute of limitations for claims is five (5) years from the date of the default. Crawford found that filing a Proof of Claim in a Chapter 13 case for a debt which is uncollectible under a State statute of limitations was a violation of the FDCPA. When a debt collector violates the FDCPA, they are responsible for the up to $1,000.00 in damages and attorney’s fees and costs. Damages may be doubled if the State Statute regulating collection has also been violated. Our office has been actively checking all proofs of claims in every Chapter 13 case that we have filed in the past two years to determine if there have been claim violations. This effort will, hopefully, result in recoveries for our Chapter 13 clients, increased distributions to legitimate creditors and possibly shorter plan periods for some clients. If you feel that you may benefit from a Chapter 13 filing or a review of claims in your case, contact our office at 904.725.0822 for a free consultation. CHAPTER 11 AND 13 BANKRUPTCY DUE TO RISING RENTS? A GREATER NEED FOR CHAPTER 11 AND 13 BANKRUPTCY DUE TO RISING RENTS? In that last blog post, the rising home prices in many Florida cities appeared to be the result of investor hedge funds purchasing rental properties for cash. http://www.planlaw.com/is-the-american-dream-dead-in-jacksonville-fl/ That activity was causing a run up in the prices of homes which would typically be middle class living in many cities. The result was a loss of opportunity for home purchases and a greater need to save homes that are currently owned by middle class families. Now, it appears that rents are rising to a level where they may be unaffordable for many middle class families. As with mortgages, the typical ratio for housing expense in rentals is approximately 30% of a household’s gross income. However, 50% of all renters now spend more than 30% of their gross income on rent. The problem appears to be getting worse as rents continue to rise due to a combination of low vacancy rates and low wage increases. So what can the average homeowner do to escape the rising rental problem? Try to keep that house and avoid paying high rental rates seems to be the obvious solution. If you currently have a home that is behind and subject to foreclosure – the best solution may be to cure the arrearage on a primary residence with a Chapter 13 Plan or restructure an investment property with a Chapter 11. Chapter 13 can allow for a cure of all arrears over a 60 month period of time or by modifying the mortgage if the homeowner is eligible. Chapter 11 allows investment properties to be valued to the market value of the home even if the mortgages on the property are much greater than the value. Interest rates and maturity dates can also be changed on investment properties. Saving a primary residence will allow the homeowner to avoid higher rental rates that may areas are experiencing now. If you currently are looking to save an investment property, then rising rental rates could be used to fund a Chapter 11 Plan to save the investment property for future retirement planning or other long term goals. Contact us to discuss your options. I’ve been meaning to write about this issue for some time, but it gets pushed to the side to deal with more current issues usually. However, just when I think that Wells Fargo has ceased to be a problem in Bankruptcy, the “administrative hold” on accounts will pop back up and cause real problems for individuals or companies attempting to reorganize through Chapter 13 or Chapter 11. The administrative hold is Wells Fargo’s way of throwing a wrench into the ability of individuals or companies to reorganize even if the individual or company does not owe any money to Wells Fargo. Wells will scan the bankruptcy filings each night for the entire United States. If it gets a hit for an individual (even if the other account holder did not file) or a company, it will freeze the entire account for some undetermined period of time. Fortunately, the bank limits the freeze to accounts that contain more than $5,000.00 on the date of the filing. Wells claims that it is preserving the assets of the bankruptcy estate for the benefit of the Trustee (See 11 U.S.C. § 542(b) requiring turnover of property to Trustee). While some sense can be made of that reasoning in a Chapter 7, the reorganization purpose of Chapter 13 and Chapter 11 do not support the reasoning of Wells. Short of Court Order, Wells will not release the funds in the account despite the fact that the Chapter 13 debtor needs the funds to commence payments. In a Chapter 11 case, the bank will only release the funds to a DIP account at Wells Fargo or require the individual or company to go to a branch and pick up a check issued to the entity as DIP. This is despite the fact that the Chapter 11 Debtor is really the Trustee and Wells has no duty to preserve the funds for a third party trustee. Unfortunately, the administrative hold is here to stay. The Courts (outside of the 9th Circuit in a Chapter 7 case) have not found that such an activity is a violation of the automatic stay despite the damage that has been caused to companies by the action of freezing a corporate account needed for day to day operations. We recently encountered this when a towing company was forced to delay responding to stranded motorists after filing Chapter 11 since Wells had frozen its operating account. This company was in Chapter 11 and owed no money to Wells. It took over 24 hours to move the funds to a Wells Fargo bankruptcy account and allow access to the funds. The takeaway from this story is that Wells will continue to freeze accounts with no reason in the future. If you are considering filing any type of bankruptcy, be sure to understand the consequences of having a Wells Fargo account. Also, be sure that your attorney can warn you of such a consequence before you file so that you are not left without funds to meet your daily living expenses. With 2013 behind us, it is time to look ahead to what 2014 will bring to the Bankruptcy World. First, a look at 2013. Filings in the Jacksonville Division continued the decline that started in 2010. 2013 filings were down 8% from 2012 levels and down 35% from the 2010 peak of over 11,000 cases. So based on the availability of credit, what can we expect for 2014? The good news for everyone except bankruptcy practitioners is that it looks like 2014 will be more of the same declines, just maybe not as steep. Short term credit appears to be increasing which has the effect of pushing down bankruptcy filing rates since people will borrow to put off filing bankruptcy. Greater amounts of long term credit and household debt will inevitably cause the bankruptcy filing rates to increase. This is why the 2010 to present drop in filings is easily explainable. After the collapse of the financial markets in 2008, there was no credit available for 2-3 years for the average person. Lack of home equity, tighter credit card standards and almost no unsecured lines of credit created a cash basis for most households. Coupled with high household debt levels, this caused a dramatic upswing in filings from 2008-2010. That has slowly starting to change since 2010 with the increase in available credit brought about by the growth in the economy and housing values. The decline in bankruptcy filings will inevitably reverse itself as long term credit/household debt level increases over the next 12-24 months. As in 2008, long term increases in household debt levels coupled with a sharp pullback in the availability of credit due to actual or perceived economic weakness will result in an increase in bankruptcy filings. Most likely, that scenario will not play out for the next year or two as the economy continues to improve. It will be interesting to see how the coming 2014 mortgage standards (tougher underwriting) will impact the availability of mortgage credit and the bankruptcy filing rate. Stay tuned for more on that in a later post. Can One Mistake Lead to Filing Bankruptcy? CAN ONE BAD DECISION LEAD TO FILING BANKRUPTCY? Lately, our office has noticed a new trend: Bankruptcy filings for people with only one bad debt. How is this possible? Doesn’t the normal bankruptcy filing result from years of financial problems finally becoming too large to deal with any longer? Not necessarily. With the financial crisis over the past five years many people significantly reduced their debt burden each month. Cars were paid off and not replaced every 2-3 years, houses were repaired instead of sold and replaced with larger more expensive versions and even credit cards were paid off and kept at a $0.00 balance each month. The overriding issue for people became to keep what they had and not to constantly upgrade and incur new debt. The financial downturn also lead to a decrease in collection activity. As weird as it sounds, the fact that finances were so dire meant that judgments and collection activity became worthless if there was no ability to pay on the part of the Debtor. Now that the financial markets appear to have recovered somewhat, collection activity is starting to pick up again. So what about the one mistake that people can make which can lead to bankruptcy? With the accumulation of “paid for” assets such as bank accounts, cars, non-homestead property, equipment or inventory, people and/or companies become vulnerable to a judgment creditor attempting to collect on a new or old judgment. We’ve seen several instances recently of exactly this type of situation, where paying down property has led to the need to file a bankruptcy. Not necessarily to deal with the debt itself, but to protect the paid off property that is subject to a judgment. Even one judgment is usually enough to cause tremendous financial pain to people or companies since the amount of the judgment is more than can be paid off immediately. 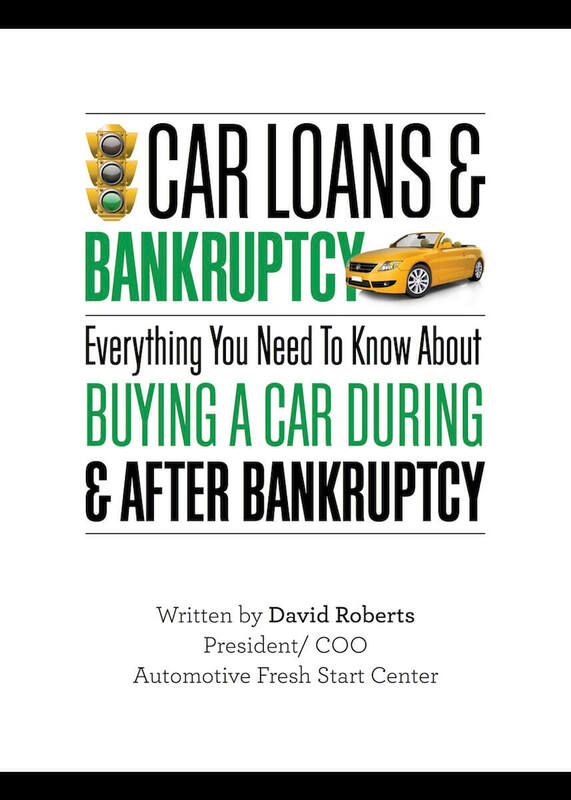 Chapter 13 and Chapter 11 bankruptcies offer the opportunity to preserve assets that have been paid off, while offering the ability to work out a partial or complete repayment plan to the judgment creditor. The amount of repayment in any plan is based upon the value of the paid for assets (non-exempt only) and the left over income each month after living expenses have been paid. Asset protection is a valid reason for seeking bankruptcy protection. Don’t let one mistake ruin years of financial good behavior. Learn how to keep your assets and manage your financial issues by contacting our office.